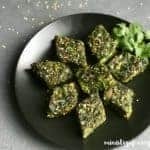 Kothimbir Vadi or Spicy Cilantro Cake is an Indian delicacy, made with fresh cilantro, chickpea flour and spiced with chili, garlic and ground turmeric. 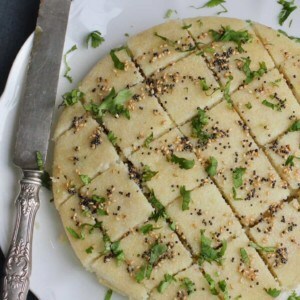 Popular in the state of Maharashtra, these gluten-free and vegan cakes can be enjoyed as a snack, breakfast or as a side dish in an authentic Thali. With summer around the corner, I am looking forward to visiting local farmers markets with fresh local produce, cheeses and breads. 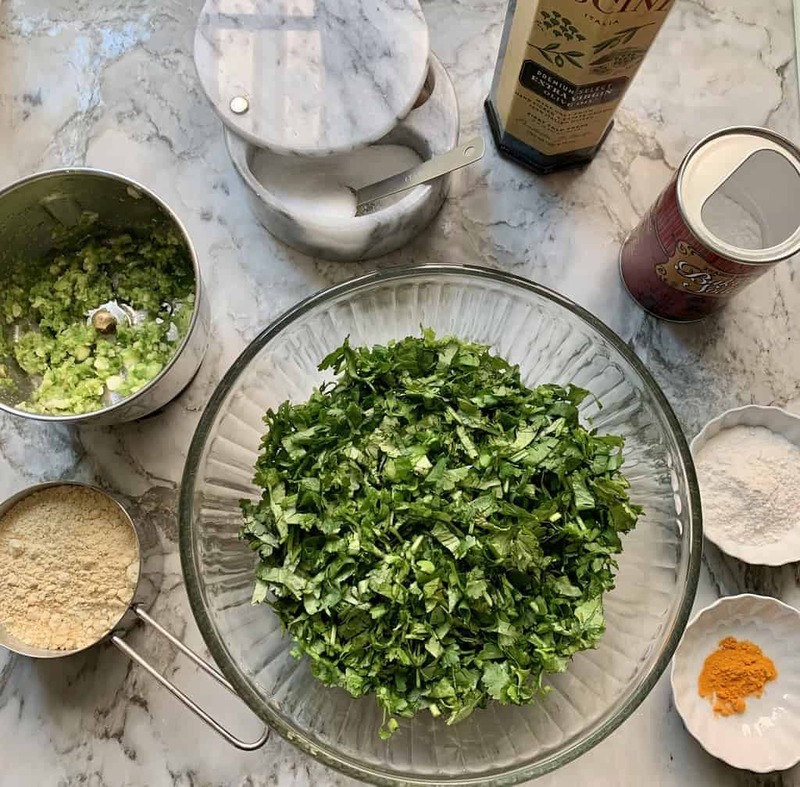 I love buying large bunches of lush green herbs for chutneys, pesto and healthy snacks like these spicy cilantro cakes. Made with a few ingredients, these cakes are packed with flavors and are very healthy. 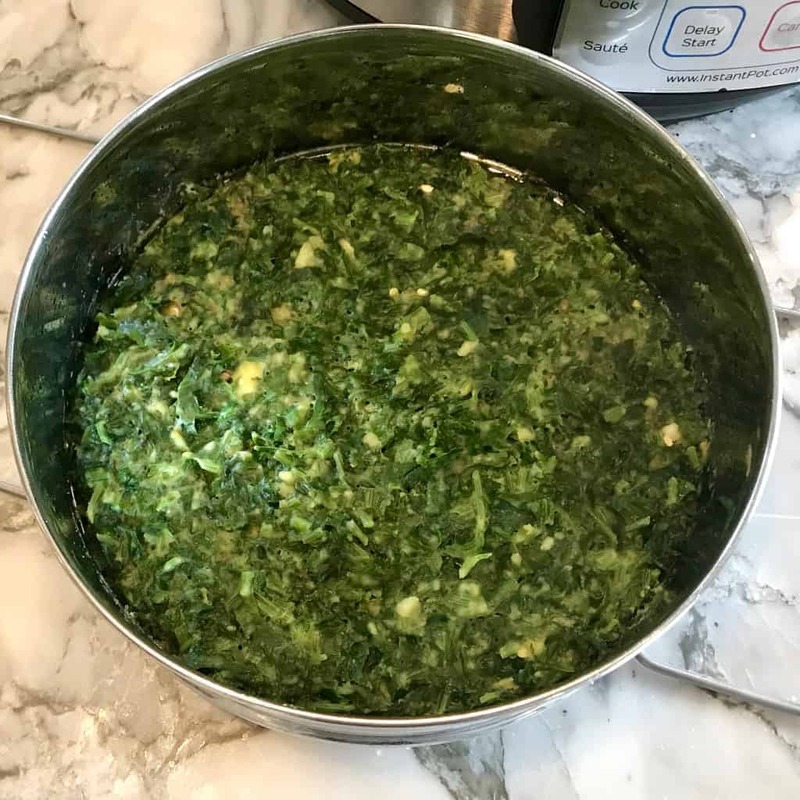 This recipe uses the Instant Pot to steam the batter in a stainless steel bowl and is a slight variation to the original kothimbir vadi that I have posted earlier. This modified version is lighter in texture and easier with the pour and done technique. 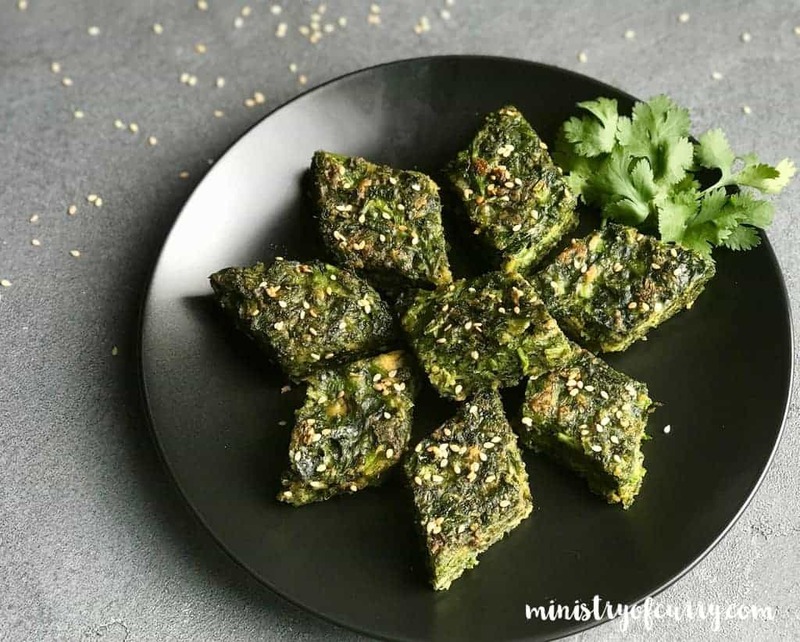 Although, these steamed cakes taste delicious as is, pan frying them with some sesame seeds adds a crunch while keeping the moist texture inside. These mouth-watering cakes have a unique aroma and can be made-ahead. 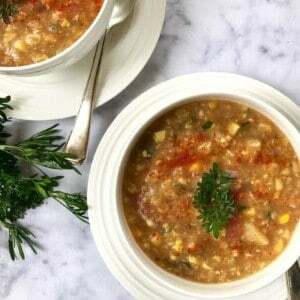 They can be refrigerated for a week and also freeze well. So go-ahead and double up the batch. 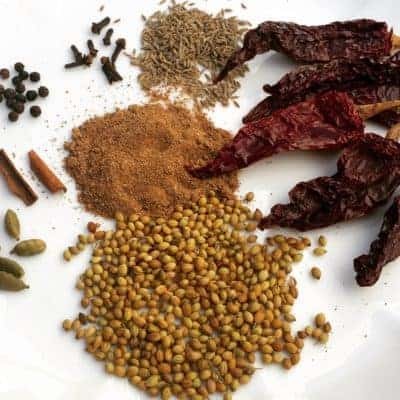 Add cilantro, 1 tablespoon oil, rice flour, garlic, green chilies, turmeric, besan, salt and water to a medium bowl. Mix well. Add 1 ½ cups water to the Instant Pot insert. Set on Sauté mode so the water starts to heat. Heating up the water before placing the batter in the Instant Pot will result in light cakes. Make sure to do this about 5 minutes before you are ready place the batter in the Instant Pot for steaming. Boiling it for too long may cause a lot if water to evaporate. Grease 7-½ inch stainless steel bowl with cooking oil or spray. Add baking soda to the batter and mix well. Quickly pour the batter in the greased bowl. Place the bowl on the instant pot trivet and carefully place the trivet inside the Instant Pot. Note: It is important to start the steaming process within couple of minutes for the baking soda to work. Close Instant Pot lid with pressure valve to venting. 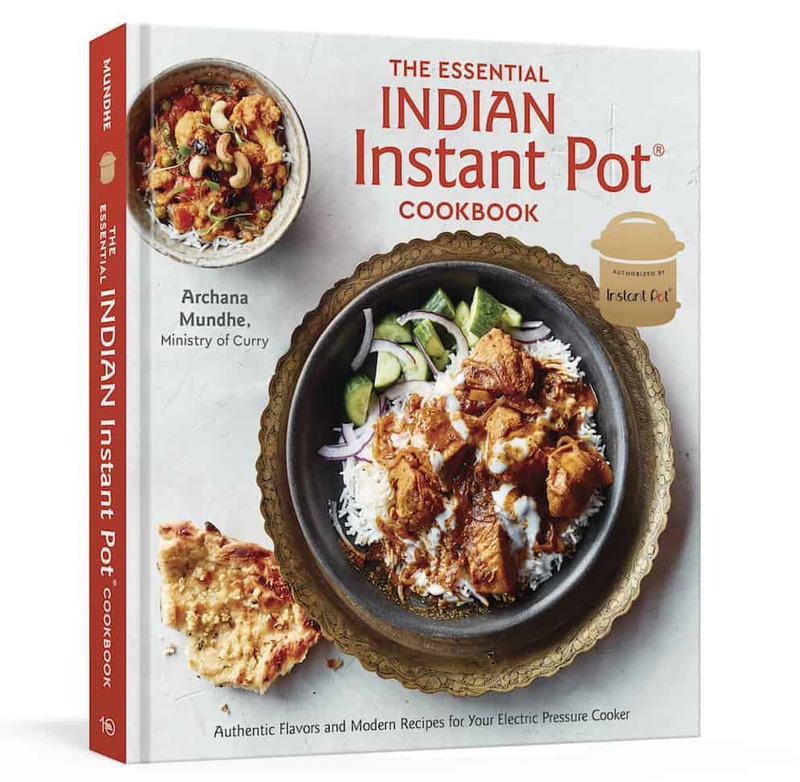 Set Instant Pot to Steam mode, with an external timer for 12 mins. Note: Timer function does not work with Steam/Venting, so an external timer is needed. Once the timer goes off, Press Cancel and open the Instant Pot after 5 minutes. Carefuly take out the bowl. Cut into small square pieces. Pan fry with remaining oil and sesame seeds on medium heat, cooking each side for about an minute or until the sides start to turn light brown. Enjoy hot! Baking Soda or Eno Fruit Salt add lightness to these spicy cakes. Traditional cakes do not use any leavening agent. I am curious do children eat this bread or is it generally too spicy for them? Is there a version of this for young ones? I’m gonna try it! Thank you for the suggestion. 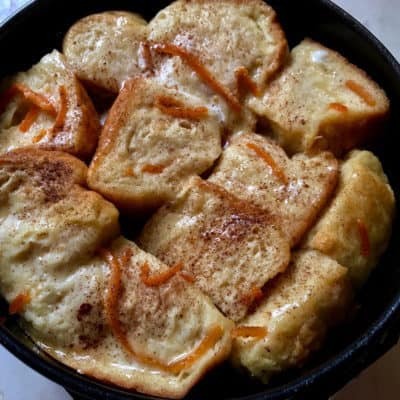 I have written a children’s vegetable cookbook and I had not heard of theis “veggie” snack bread….wish I had. I did manage to get pachadi and kerala peas in the cookbook! I will try this soon and post to my veggie Fb page. Best of luck! Thank you! What is the name of your cookbook. Would love to read and try some recipes. That is very kind of you! I have submitted the 176 page manuscript to a lot of agents hoping one will pick it up. I would self-publish but the only paper available on print on demand is 60 lb or 80 lb glossy and I feel I need something more substantial for the little ones to color and write notes on. I will keep you posted how it goes..you can also check out our website and FB page. 4waystoyummy.com Have a wonderful weekend! I love your site! 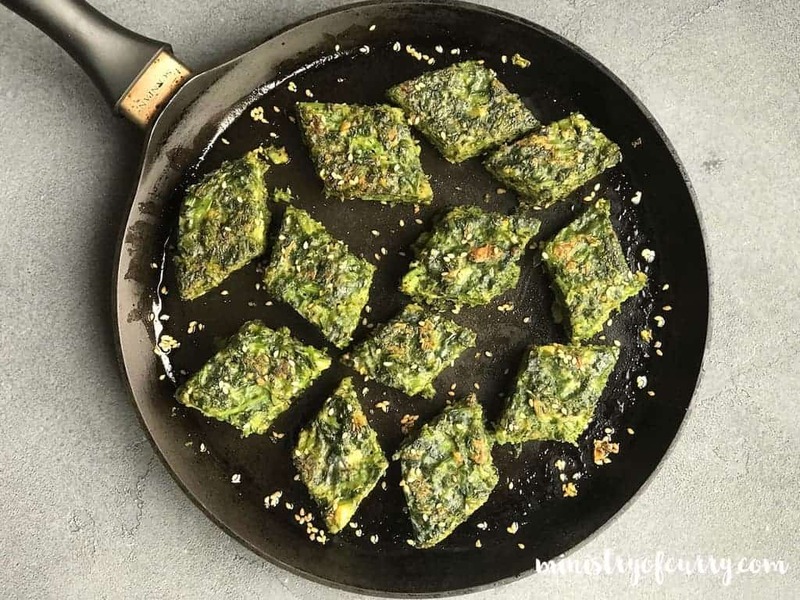 Hi – if I don’t have rice flour what other flour will work? Oat or sprouted wheat, or does rice flour really bring the flavors out? Thanks! 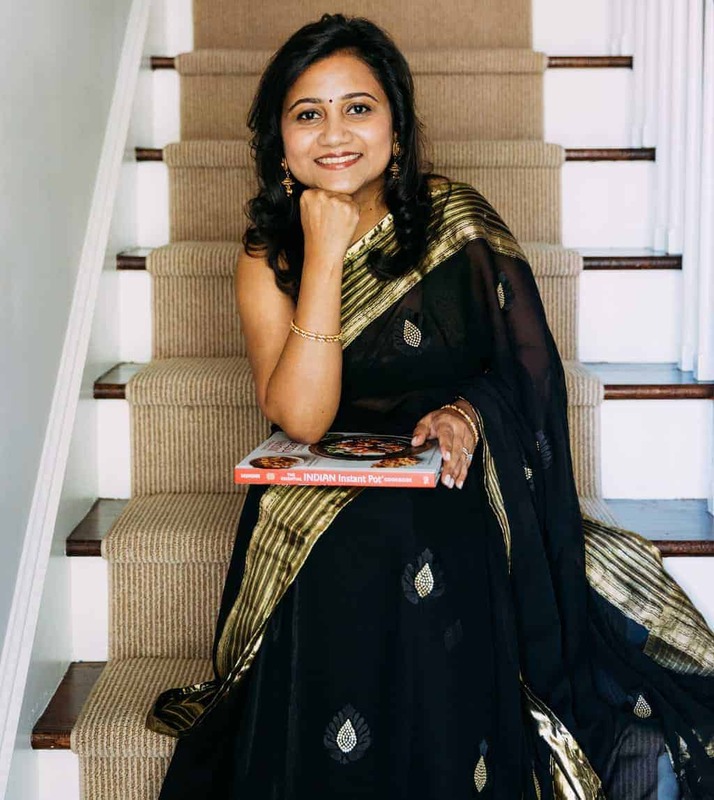 Hi Vikki – You can substitute rice flour with sooji/rava or completely skip it. It is added to get a bit of crispy texture when you pan fry them. 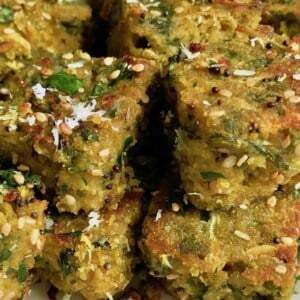 Traditional kothimbir vadi does not have rice flour. I tried it, comes out too good. I like spicy, so kicked it up a notch by adding little extra green chilies. Thanks for posting.